Removed a considerably large Blackwood in Clematis recently, every so often you come across these which have survived longer than the species normally does. The tree had been damaged and was over hanging a house and power line, in the photo below we are lowering off a large limb. 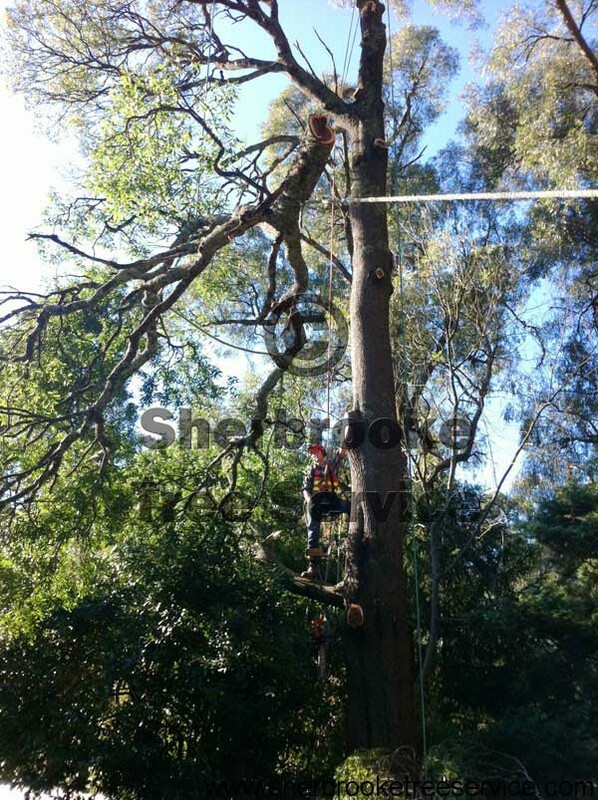 This kind of technical tree removal is helped by years of experience working in the Emerald, Cockatoo and Belgrave areas. Give us a call on our tree removal hotline, and we would love to help you out! Angus and Graeme work together to remove a large blackwood over the top of a carport in Emerald.